An Abertay University elite athlete who survived a horrific showjumping accident is preparing to compete for Scotland – after switching to hockey. Katie Robertson from Fife was in the early stages of an equestrian career that had seen her selected to compete for Great Britain in European competition, when a terrifying fall during a show in Wales saw her knocked unconscious for 10 minutes and rushed to hospital. Aged just 14 at the time, the former Kilgraston School pupil had to be removed from the arena out cold on a spinal board having broken her shoulder and collar bone. While she never regained the confidence to ride competitively, Katie’s decision to turn her attention to hockey yielded positive results. 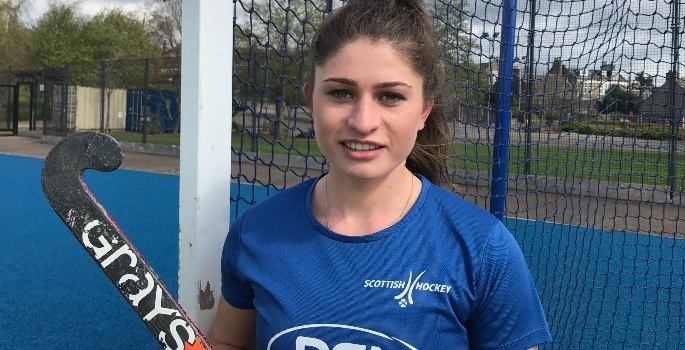 Quickly progressing through the school ranks as a teenager, she made the Scotland Under 18 team aged 16 and is now competing at full international level. The 20-year-old BSc Sport and Psychology student from Freuchie said she refused to let the 2010 fall from her horse, Atlantic Swift, put her off pursuing a career in sport. “I did ride a couple of times after that but I didn’t have the confidence to really go for it. I took up hockey because I wanted something to fill up my time and it has just gone on from there. 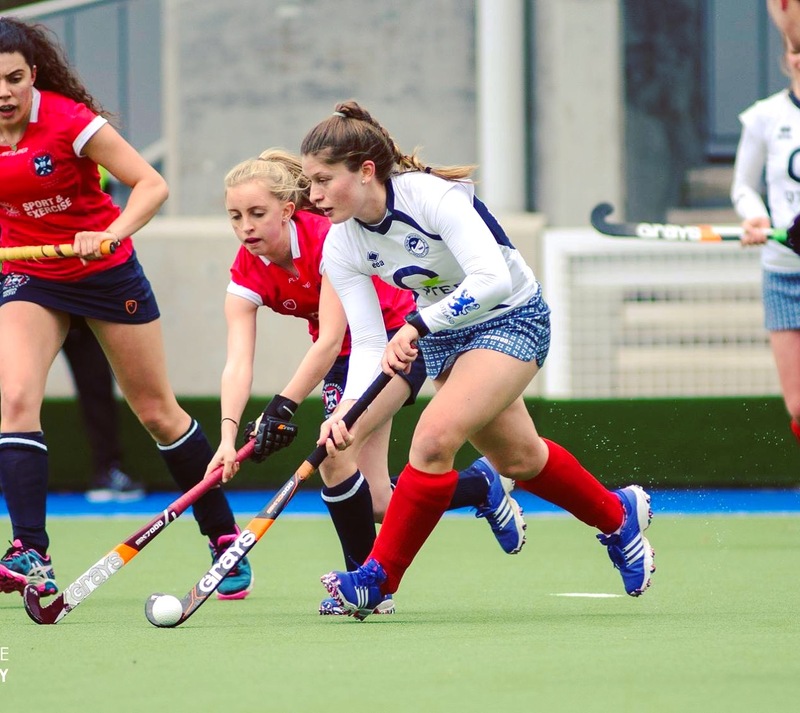 Third year student Katie, who attended Falkland Primary, is on Abertay’s Elite Athlete Development Programme and is completing her course part-time to allow additional training time for both club and country. After graduating, the Grove Menzieshill player, who trains at Dundee International Sports Complex, hopes to stay in sport both as a competitor and a coach.